RON DORFF Skin Discipline Arctic Juniper Shampoo (236ml) utilises the purifying and strengthening properties of Juniper harvested from the Northern Arctic Circle. This powerful, body building formula leaves the hair clean and fresh whilst caring for the scalp. A light and lively fragrance captures the freshness of the northern Swedish mountain region of Fjallen. 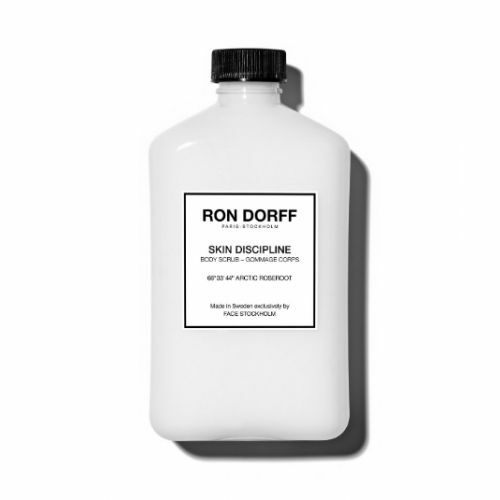 A strengthening, purifying shampoo for frequent use, made in Sweden exclusively for RON DORFF by FACE Stockholm. With a natural, mineral oil- and paraben-free formula, enriched with tonifying Arctic Juniper sprout extract, harvested north of the Arctic Circle, at the latitude of 66° 33’ 44”, for stronger hair and a clean and healthy scalp. A light and lively fragrance captures the freshness of Fjällen, the mountainous region in the north of Sweden. No animal testing. 240 ml. Massage into damp hair using the finger tips. Rinse. Work it deep into the scalp and massage the roots of the hairs to stimulate the area and improve blood flow.